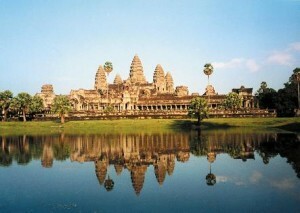 This combination trip provides you the best part of Vietnam and Cambodia, from the spectacular Ha Long bay to the majestic temple of Angkor. 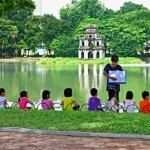 From the historical and charming center parts of Vietnam to the exciting Mekong delta. This is a memorable journey. 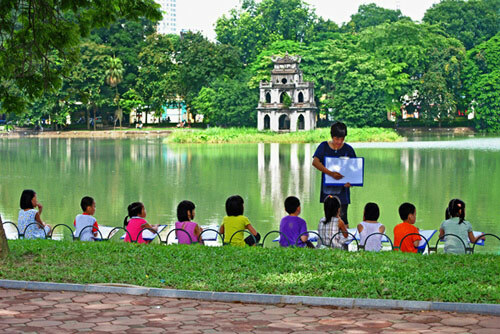 In the morning we will visit the Ho Chi Minh Mausoleum, His House on stilts, the One Pillar Pagoda, the outside of the Presidential Palace and the Temple of Literature which was Vietnam””s first University. 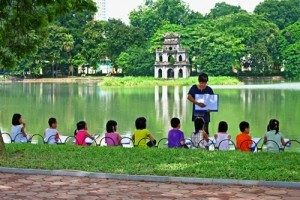 In the afternoon we will go to the intriguing Ethnology Museum followed by an hour on a cyclo (a pedal rickshaw) being taken round the old quarter of Hanoi. Then we can enjoy the ancient and unique water-puppet show. Notes: Ho Chi Minh Mausoleum opening time: Open from Tuesday to Thursday and weekends from 8 Am to 11pm. Closed on Mondays and Fridays. 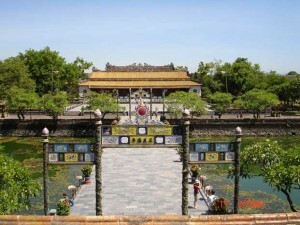 The mausoleum is closed for two months of the year, usually October and November, when Ho Chi Minh’s body is maintenance. 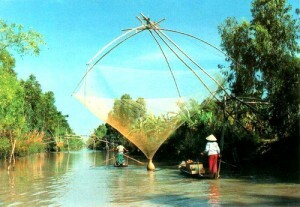 Picking up from your hotel in Hanoi around 8:00 A.M. Drive to Halong City through the paddy fields in the Red River Delta. We will stop along the way for refreshments. After 4 hour driving, we arrive at Tuan Chau Wharf – Break and photo opportunities. At 12:30 you are transferred by tender to the boat – enjoy Welcome Drink, receive cruise briefing and safety instructions. After that your lunch will be served while cruising through the bay. The following activities, we will visit exciting Ba Hang fishing village, the village is free from busy roads and streets, electric lights, houses and high rise buildings. 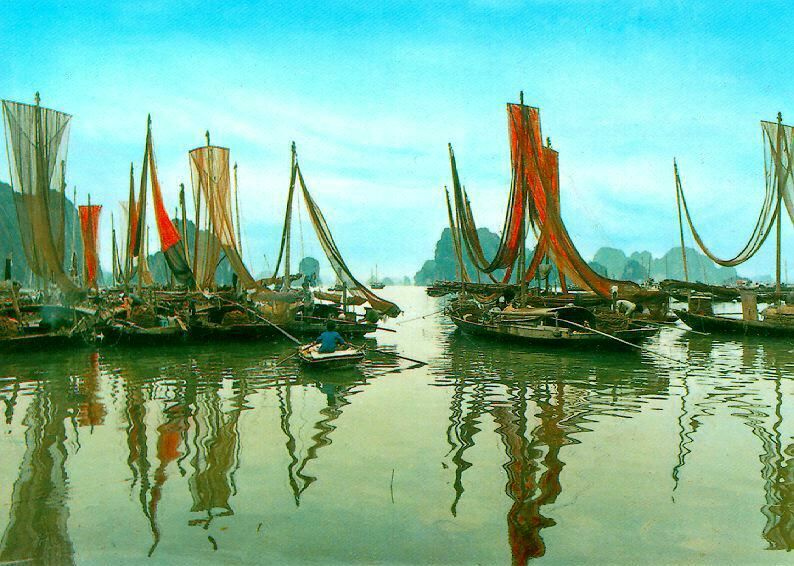 Instead, there are only herds of little boats and rafts. You will have the chance to discover the traditional culture and customs of the fishermen. Enjoy kayaking, swimming, relaxing on the cruise (if the weather permits). After that we return to the boat and join cooking class by Glory Cruise’s Chef. Optional of kayaking at Bat Cave (surcharge for Kayak). Dinner and overnight on the boat. You shoudl get up early to enjoy Tai Chi instruction on the sundeck (duration about 30 minutes). And then you are transferred by tender to the Sung Sot Cave. Walk up about 100 steps to the cave entrance and tour the cave for approximately 45 minutes. Walk down about 100 steps and return to the boat. (Proper shoes are highly recommended). Back to the cruise by tender, then check-out and enjoy a fantastic cuise on the bay. You will have buffet brunch (breakfast/lunch) while cruising back through Halong Bay to the pier. We will settle bills after breakfast. Relax on the sundeck or in the dining room enjoying the bay scenery as we approach the pier. At 11:30 we will be transferred by tender to the pier. Time to say goodbye to the crew to go back Hanoi. Arrive in Hanoi around 4:30 P.M.
We travel through the high pass of Hai Van with its spectacular views of the Pacific Ocean en route to Hoi An. On the way we also visit Cham museum, My Khe beach and the marble village. In the afternoon we will enjoy a walking tour of the Old Town with its narrow, winding streets, visiting the Fukien Assembly Hall, the 200 year old Tan Ky house, the Japanese covered bridge, the Hoi An Museum and the handicraft workshops. After that we are free to go shopping, go to the nearby beach, or even have some clothes made which can be picked up the very next day. We will take a short flight to Ho Chi Minh City early this morning, and after breakfast we will head for the legendary Cu Chi Tunnels. In the early afternoon we will return to Ho Chi Minh City (Saigon), a fascinating mix of old and new for us to explore at our leisure. Our day will begin with a boat trip along the endless waterway of the mighty Mekong River to Cai Be floating market, one of the most beautiful floating markets in the region. After that we have chance to see how the local people making: pop corn, and rice paper. 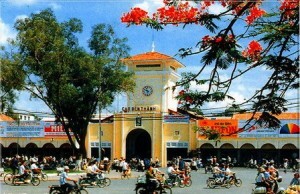 In the afternoon we go back to Ho Chi Minh City, and the rest of the day at leisure. Site visited: Notre Dame cathedral, General Post Office, Formal Presidential Palace, Museum of War Remnants, Ben Thanh market. Today we tour around the city to visit the highlights of Saigon including: Notre Dame cathedral, General Post Office, Formal Presidential Palace, Museum of War Remnants, and Ben Thanh market. Today we bid farewell to Vietnam and after a short flight we arrive Siem Riep. This morning we visit the ancient Khmer civilization site of Hariharalaya which flourished in the late 9th and earlier 10th centuries. These are the earliest temples in the Angkor area and are referred to the Rolous group (Lo Lei, Preah Koh, and Bakhong Temples). Lunch with the local family and then we will continue to drive to the rural outskirt 35km from Angkor area to visit the smallest, but magnificent, Banteay Srei built in the 10th Century and dedicated to Shiva. The temple was the birthplace of Khmer classical style architecture and the bas-relief work is the best example of Khmer classical art remaining. The pink sandstone structure bears a series of striking and beautiful sculptures, lintels, pediments and friezes. 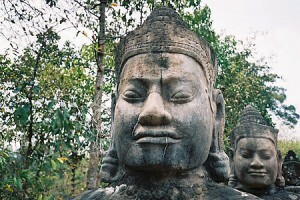 Khmers say the temple must have been carved by women for the details are too fine for the hands of a man. On the way back to Siem Reap we will visit the Banteay Samre Temple adorned with impressive reliefs depicting scenes of Vishnu as well as Krishna legends.